First sentence: Time is not a line but a dimension, like the dimensions of space. In the winter, I dream of sandy beaches and lemonade. In the summer, it's that first snowstorm and hot apple cider. So there was nothing better to read about on a humid July day in the middle of a never-ending heat wave than a girl growing up in the cold, Canadian winters. I was delighted at the talk of snowpants, mittens, and wool caps; snow angels; and snowball fights. For much of Cat's Eye was a retrospective look into the post-WWII childhood of the central character, Elaine Risley. Cat's Eye is the story of Elaine Risley, who returns to Toronto after a long absence, for a retrospective of her art. Her story is split into past and present, as Elaine yearns to reconcile her memories with the woman she has become. Margaret Atwood is known for her varied story-telling, but Cat's Eye continues an exploration that is common to her work: a not-to-strong central female character, who is delving into her past, in an attempt to understand her present place in this world. Elaine's story is imbued with Atwood's critical and thoughtful statement of childhood, examining the turmoil and strife that accompanies girls as they grow up--especially what they do to each other. One thing that always draws me to Margaret Atwood's novels is her vivid characterizations, and this story is no exception. At the end, I feel like I know Elaine, Elaine's mother and father, her best friend Cordelia, and many of the other women in the novel. I am always sad to turn the last page, to be at the end. Which is why I always come back to her books for seconds. It's like greeting an old friend.
' "What's with her?" says the painter. "She's mad because she's a woman." Jon says. This is something I haven't heard for years, not since high school. Once it was a shaming thing to say, and crushing to have it said about you, by a man. It implied oddness, deformity, sexual malfunction. One of these days, I will get around to reading something by Atwood. I really need to do that. Wonderful review! I think I will add this one to my wishlist. 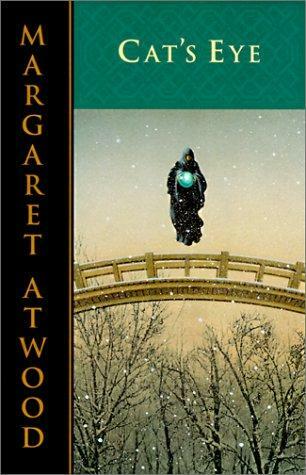 This is one of my favorite Atwood novels too. It's been so many years since I've read it though that I don't remember much. I think the Atwood novel that's stayed the most with me has been The Handmaid's Tale. 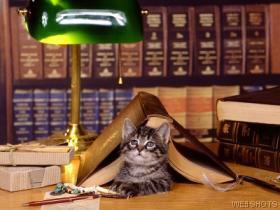 I wandered in from the reading dangerously blog. This book currently has me in its grip, I think it's excellent and makes me want to read more Atwood!